“You have to give guys an opportunity to redeem themselves,” former captain Steve Waugh said. 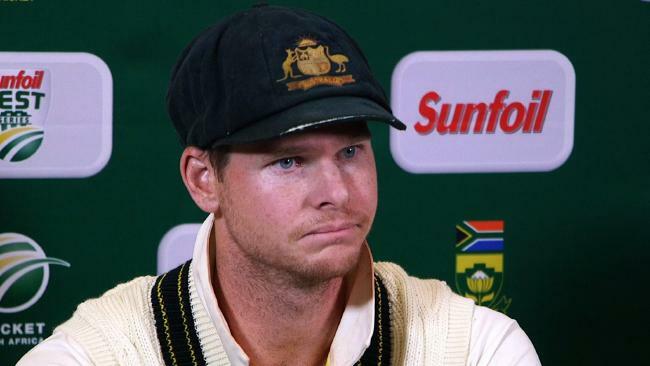 FORMER Test captain Steve Waugh said Australian cricket needs Steve Smith back, but warned he may not be able to reach the heights he had before his suspension. Smith, who is set to return to Sydney grade cricket this weekend for Sutherland, was infamously dumped as Test captain and suspended from state and international cricket for a year following the ball-tampering scandal in South Africa. Opener David Warner was also suspended for a year, while Cameron Bancroft was given a nine month ban. Waugh, Australia's most winning captain, said the national team needs Smith back when his suspension was over. "You can't lose someone of his quality overnight and expect to replace it and he's still only relatively young," Waugh said. "The Australian public, they are forgiving. He (Smith) made a mistake and he's paid a heavy price for it. "But if he gets back out there and plays with the same enthusiasm and passion, he loves playing cricket, he loves scoring runs, he wants to get back playing for Australia, I think Australians will move past what happened before. "They obviously remember it, but they're big enough to realise you can make a mistake and grow from that and be stronger." The trio each accepted the responsibility for using sandpaper on the ball in order to produce reverse swing. Waugh hopes all three will have the opportunity to be accepted to return to the Australian side in the future. "You have to give guys an opportunity to redeem themselves. They've apologised and paid a heavy price," Waugh said. "It's going to be a challenge for all of them to come back, it's not going to be as easy as people think. "You're out for 12 months, the game does move on, you lose that aura of invincibility a little bit, you become a bit more fragile, a bit of self-doubt creeps in. "So it's going to be a real challenge for all three of those guys to come back strong." Separately, Ricky Ponting defended Australia's under-siege cricket culture while predicting a "vastly different" environment under the leadership of Justin Langer and Tim Paine. On top of the ball-tampering scandal, Cricket Australia is also investigating claims from England all-rounder Moeen Ali regarding sledging on the basis of his religion and appearance during his Ashes debut in 2015. 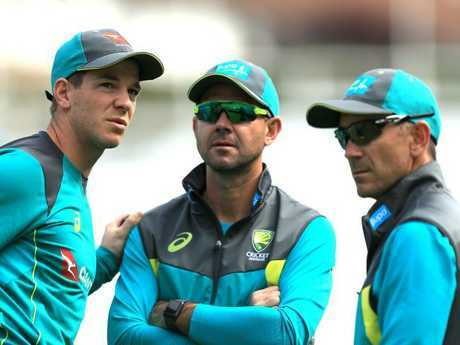 Tim Paine, Ricky Ponting and Justin Langer have already made some tweaks to the Australian cricket culture. "We know the reason that a lot of that stuff started, don't we?," he told reporters in Melbourne on Tuesday. "The culture of the Australian cricket team has always been very, very good and very strong." Moeen has claimed that an unnamed Australian player called him 'Osama' during the 2015 Ashes series-opener in Cardiff. Ponting didn't specifically address Ali's allegation but conceded certain incidents involving Australia had gotten "a little bit out of hand". Ponting thinks Aaron Finch was picked for a main role in the Australian side. 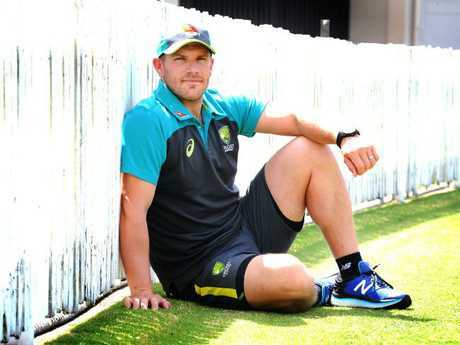 Ponting also backed Aaron Finch to make his Test debut and open the batting alongside Matt Renshaw. Tim Paine will lead a heavily depleted 15-man squad into next month's two-Test series with suspended trio Steve Smith, David Warner and Cameron Bancroft unavailable along with frontline quicks Pat Cummins and Josh Hazlewood. Former skipper Ponting expects Renshaw and Test debutant Finch to open for the first Test in Dubai with Usman Khawaja at first drop, then Shaun Marsh, Travis Head and Mitch Marsh filling middle-order positions. "I don't think they would have picked (Finch) otherwise with no other specialist opener," Ponting said. "Maybe they could try Shaun Marsh up there and bat Finch in the middle but I just think Finch, although his red-ball numbers aren't outstanding, he's been in really good form in other formats of the game around the world for the last few years. "The conditions in the UAE in the next few weeks, I don't think the new ball will do too much. It'll probably be more like starting an innings against a white ball which Finchy is very, very good at." Ponting also suggested Nathan Lyon and Jon Holland to form a spinning partnership, while 33-year-old workhorse Peter Siddle to hold down an end opposite pace spearhead Mitchell Starc. The Australian team will play Pakistan in Tests in Dubai, starting October 7, and Abu Dhabi before three T20 fixtures.